Our comprehensive support plan covers most aspects of your use of Magento and will give you the peace of mind that help is just a click away. We'll support your use of all built-in Magento features. If you are having a problem configuring Magento or getting something to work as expected, then our experts will help you. We provide first-line support for all our Magento extensions. We don't, however, guarantee to resolve all issues with third-party extensions. If we have developed custom code for you, then we'll support it as part of your existing support plan. Need help getting Magento to run faster? We'll assist. We deliver remote training session as part of our support plan. These take place via web meeting/telephone sessions. Need to install Magento or upgrade to the latest version? Let us manage the process safely for you. You can access to our highly skilled Magento development team for all your development and customization requirements. The support plan covers any number of Magento stores. 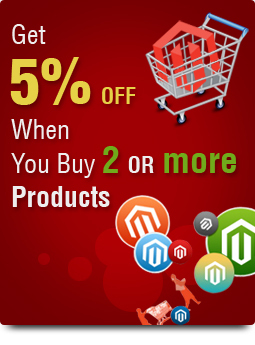 So if you have multiple Magento websites then no need to buy Magento support separately. If there is a bug in the core Magento code then you'll help verify that it is affecting you, but we don't guarantee that we'll fix it for you.